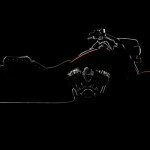 Indian Motorcycle today released the schedule and additional details of one of the most highly anticipated motorcycling events in decades —the debut of the all-new 2014 Indian Chief. Two and a half years in the making, the reveal will be a thrilling inauguration to the 73rd Annual Sturgis Motorcycle Rally. Today’s news follows the company’s announcement that the 2014 Chief, powered by the new Thunder Stroke 111 engine, will start at $18,999. A sneak peek video of the new 2014 Indian Chief is available here. Indian invites all motorcycle riders and enthusiasts to experience a new era in American motorcycling with the public unveiling of the 2014 Indian Chief on Saturday, August 3, at 8 p.m. 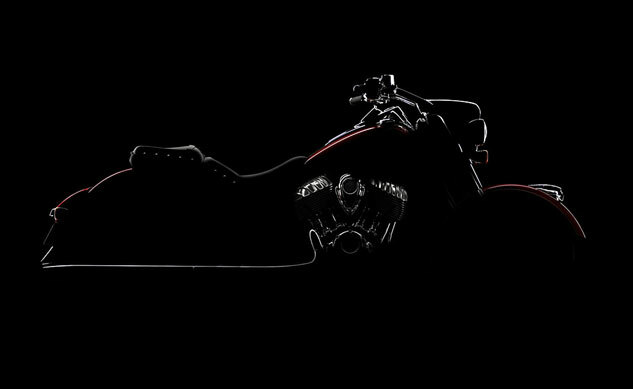 The historic reveal will take place at the Sturgis Motorcycle Museum, located at the corner of Junction and Main Street. The event is free of charge and features live music, celebrity appearances including Mike Wolfe of “American Pickers,” interviews with Indian Motorcycle team members, a multimedia tribute to Indian Motorcycle’s history and more. 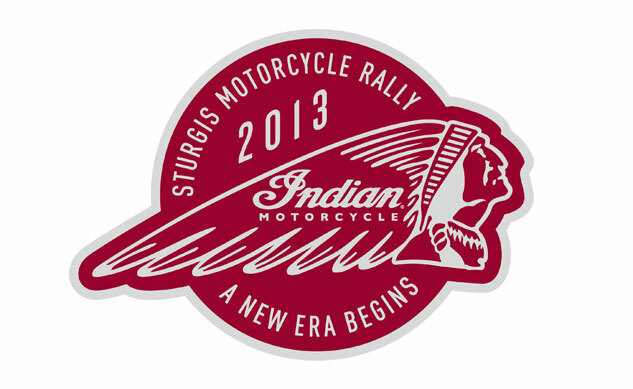 Licensed motorcyclists at Sturgis are invited to be among the first in the world to ride the new Chief. 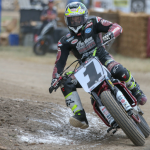 Demos will be offered daily from 9 a.m. – 6 p.m., Sunday, August 4 through Saturday, August 10 at the Indian Motorcycle Hospitality venue just off Hwy I-90 at Exit 30. Riders must be 18 years of age and must provide proof of endorsement along with a helmet and appropriate riding attire. For full details visit IndianMotorcycle.com. 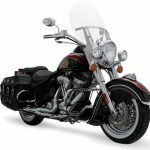 The company also announced a week-long schedule of events designed to introduce the motorcycle community to the new Indian Chief. 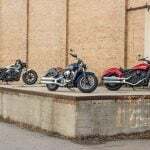 Throughout the Sturgis Rally, Indian Motorcycle will host events at multiple locations, including a display at 2nd and Lazelle Street in downtown Sturgis. From 9 a.m. to 6 p.m. daily attendees will have the opportunity to get up close and personal with the all-new Indian Chief. The exhibit will also feature an array of heritage Indian motorcycles including vintage Chief models, the world famous “Munro Special” and the recently unveiled tribute “Spirit of Munro” custom streamliner. 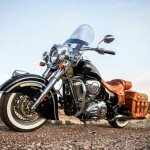 The full schedule of activities including displays, demo rides and parties is available at www.IndianMotorcycle.com. Indian will also host a party on Friday, August 9 at the Buffalo Chip. In addition to reggae/rock band Sublime with Rome performing live on the Chip’s main stage, Indian will feature a unique display of vintage and antique Indian motorcycles, special promotions and appearances. 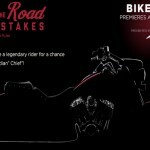 Indian Motorcycle also announced its first-ever title sponsorship of ‘Bike Week’ on the History Channel, featuring a line-up of motorcycle-themed television shows airing concurrently with the Sturgis Rally from August 5-9, 2013. As a lead-up to ‘Bike Week,’ beginning mid-July History will air vignettes highlighting the rich heritage and important milestones in the long and storied history of the Indian Motorcycle brand. The segments will explore the people, product innovations, racing accomplishments, industry firsts, and rich military heritage of one of America’s most iconic brands. In addition, History Channel will broadcast the unveiling of the 2014 Chief during “American Pickers” on Monday, August 5. As part of the build-up to Bike Week and the Indian Motorcycle launch, Indian continues its “Choice” campaign with the broadcast spot “Bike Wash.” See the commercial here. For more information visit www.IndianMotorcycle.com, follow on Twitter at www.twitter.com/indianmotocycle, and Like them at www.facebook.com/indianmotorcycle. To learn more about the Jackpine Gypsies, log on to www.JackpineGypsies.com.